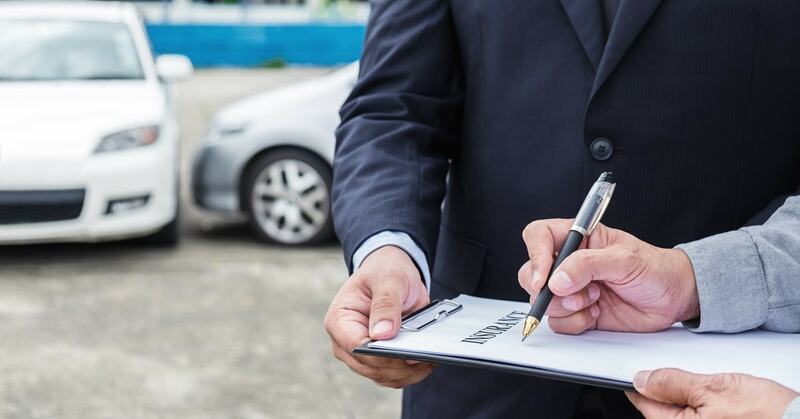 In California and throughout the country, insurance companies have formulas that they use to estimate the value of auto-insurance settlements, but the truth is that these formulas are skewed in their favor. If you have been in an accident, you shouldn’t accept a settlement offer until you know that all the facts that are in your favor have been fully factored into the final settlement amount. 1. Is it a fair offer that takes all of your injuries into consideration? A fair offer can only be arrived at if all of your injuries have been considered. Injuries generally fall into two categories: physical and emotional. Physical injuries are often considered in settlement offers, but most adjusters have a tendency of overlooking emotional injuries. 2. Does it consider the severity of your impact? It’s not enough just to count the number of physical injuries that you have; the severity of the accident should also be considered. Do you have soft tissue injuries? Broken bones? Are you on crutches or a wheelchair as a result of the impact? Ensure that the nature and the extent of all your injuries are fully documented in your medical records, along with the measures that had to be taken to treat them. 3. What is the policy limit? Is there more available to you according to the insurance policy? Before you accept a settlement offer, you should know what the policy limit is. Settlements are negotiated between injured parties and insurance companies because people prefer not to go to court. But the offers are initiated by insurance companies because they could potentially lose more if a jury decides to award you the maximum amount (the policy limit). You should know what the policy limit is in your case, so that you can be in a better position to ask for the settlement that you truly deserve. 4. Is the insurance adjuster downplaying your injuries to settle for less? Insurance adjusters are not neutral parties, they work for the insurance company! It’s very common for adjusters to downplay the extent of your injury in order to get you to settle for less. Your best course of action is to talk to a car accident lawyer before engaging with an adjuster. 5. Have you completed your treatment, or is this offer premature? Is the insurance company giving you a low offer to settle quickly, before the extent of your treatment needs is fully known? You should never accept an auto-insurance settlement until you fully understand the extent of your treatment needs. The last thing you want is to accept a low offer and then later find out that you need follow-up treatments that you will now have to pay for out of pocket. Accepting a settlement means you forfeit your right to make any more claims on in this case, so you should ensure that you only take a deal that covers your past, ongoing, and future treatments. Have you or your loved one been the victims of a car accident? Don’t wait. Get the legal help you need to get you back on your feet as soon as possible! 6. Have you collected your evidence of all lost earnings? It’s not enough to get compensation for your injuries and medical bills alone. The fact is that the time you spend getting medical treatment or recovering from the accident could have been spent working and earning money. You are entitled to a lost earning compensation whether you have a full-time job, part-time job, a seasonal job, or you are self-employed. Even if you get a paid sick leave from your employer, that doesn’t negate that fact. You should collect any evidence that shows how much time you took from work, and how much money you would have made during that period. If you are self-employed or a freelancer, you can also ask to be compensated for lost opportunities (this can difficult to qualify, but with a great car accident lawyer, it’s very much possible). 7. Are there special considerations in how this accident affects your ability to work? It’s possible that, due to your accident, you may not be able to go back to work at all. Or even if you do go back, you may not be as productive as you were before the accident. Your medical report can give some insight into whether you will be at 100% when you return to work. If that’s not the case, this should be factored into your settlement. 8. Are you being compensated for pain and suffering (in addition to your economic losses)? The loses due to an accident aren’t just economical. As a result of the accident, you will be in a lot of pain (both physical and emotional). The suffering that you endure must be factored into the settlement, and the amount should be separate from what goes into paying your medical bills. 9. Are there other people for whom you can obtain a value for your settlement? When you get into an accident, it’s not just you that suffers. Your family members and loved ones will experience psychological trauma as well as hardships, and the quality of their lives will be impacted by your condition. They need to be considered in the settlement, too. 10. Are there personal relationships that have been affected by your injuries? As a result of your accident, your personal relationships may also suffer. Your relationship could be strained because you are no longer in the state of mind to nurture it or phyiscally unable to give your partner what her or she expects. In extreme cases, your partner might even leave you because you have been disfigured. When you meet with your car accident lawyer, make sure to discuss all of the negative impacts on your personal and professional life that have occurred or might occur since the accident. Of course, it’s best to consult an attorney who is knowledgeable about auto accident litigation. Without the representation of an experienced lawyer, you may be inclined to take the first offer that they put in front of you, but that’s almost always a bad idea. A good lawyer will help you collect evidence, including items you might otherwise overlook. They will then present the evidence to the claims adjuster, expedite the settlement process, and get you the money you deserve. If you are looking for car accident lawyers in Los Angeles and San Fernando Valley, The Law Offices of Ilona Gorin are here to help! https://gorinlawgroup.com/wp-content/uploads/2018/06/Auto-Insurance-Accident-Settlement-Attorney-featured.jpg 628 1200 sp33d0fl https://gorinlawgroup.com/wp-content/uploads/2017/03/Law-Offices-of-Ilona-Gorin.png sp33d0fl2018-06-22 10:33:372018-06-22 10:36:41Should You Accept an Auto-Insurance Accident Settlement Offer? Five Things to Do After a Slip and Fall Accident in LA When Should You Hire a Personal Injury Attorney in Los Angeles?